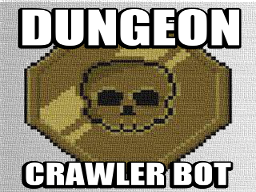 DungeonCrawlerBot is a dungeon crawling RPG game. Welcome! DungeonBot is a text RPG. Make a character, raid a dungeon, kill monsters, loot them for shiny things! And do it with your friends too! The bot is very much WIP, so beware of bugs. Please send feedback using the “dev” command . You can restart the registration at any time by sending “restart“. 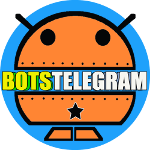 My bot isn’t working what do I do? what happened? is Dungeon Crawler your Bot? Dungeon Crawler Bot is not working, i receive no instructions at all.